Credit for the discovery of sparkling wine is a matter of dispute. The monks of Limoux in the South of France claim 1531 as the date of genesis; the Champenois, with their stories of widows and Benedictine monks, have certainly won the publicity war; and even the Brits, who invented glass thick enough to contain the pressure, stake a claim. But whomever you credit with its creation or taming, the world has become quite fond of bubbles over the past few centuries. We’re excited to have favorites from our Champagne producer Pascal Bardoux in the current September Futures notes; but until they arrive, we’ll continue to enjoy the delicious crémants from the Maison Picamelot. Picamelot’s “Les Terroirs” combines three grapes from three corners of Burgundy — Pinot Noir from the Côte de Nuits, Chardonnay from the Côte de Beaune, and Aligoté from the Côte Chalonnaise. After its first fermentation, the wine ages on its lees for over a year, gaining complexity and richness. The result is a delicious wine that’s as honest a representation of Burgundy as any still wine. In the glass (we suggest skipping the flute), “les Terroirs” is bright and lively, with nice dryness and pleasant, delicate mouthfeel — an extraordinarily versatile food-pairing wine. Over the last two weeks in France we’ve gotten used to beginning meals out with a kir petillant (crémant with a dash of crème de cassis). We’re likely to carry this aperitif tradition back home, and we suspect you might enjoy it too. 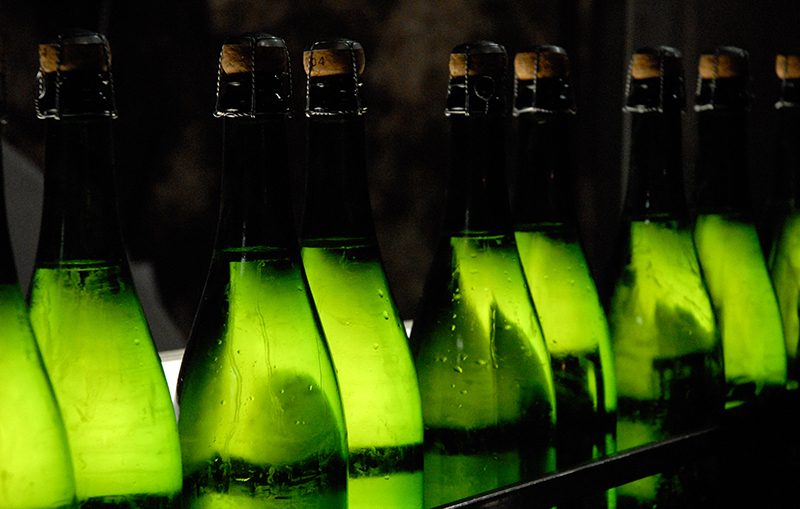 Next post: Small-Batch Grower Champagne, back in stock!